Shibuya and Shinjuku are the modern centers of Tokyo with all the shops and restaurants you could imagine, and of course a lot of people – many go to Shibuya just for that: look how pedestrian cross the roads in all direction when lights turn green. 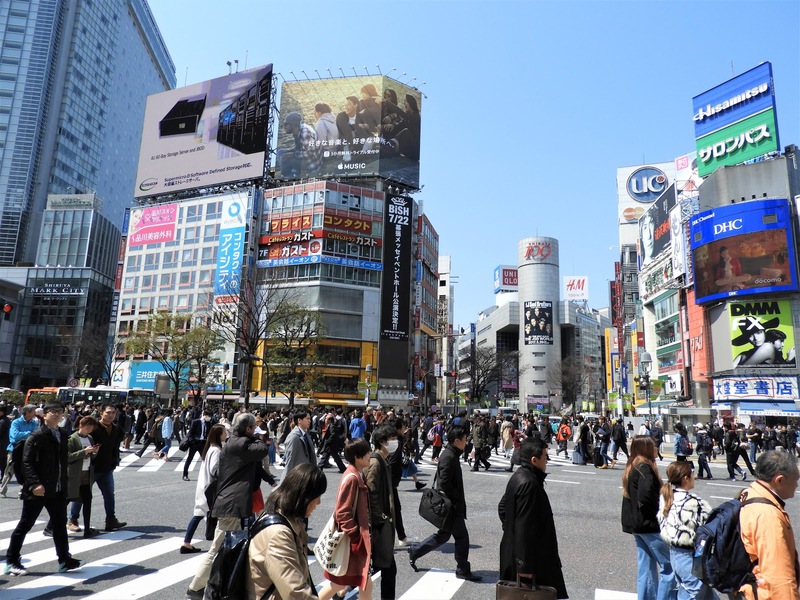 Shinjuku and Shibuya are also the transport hubs of Tokyo, so if you want to get around Tokyo easily, you may want to consider getting a place near either of these places. As an interesting detail: Shinjuku railway station is actually the busiest railway station in the world – and Shibuya isn’t much smaller either.